From the wetlands and rainforests that teem with life to the bustling city streets, experience Brazil from all sides. Over the course of two weeks, alternate between carnival-colored cities and peaceful retreats surrounded by stunning, wild landscapes. Board your overnight flight to Rio de Janeiro today. Land in Rio this morning, then meet your Tour Director and fellow travelers at a welcome dinner. This morning, enjoy a cable car ride up Rio’s Sugarloaf Mountain, then get to know Rio de Janeiro on a guided tour. Later, go behind the scenes of Rio’s biggest celebration, Carnival. Afterward, enjoy a free evening in Rio or add an excursion. Head to the top of Corcovado Mountain for a guided tour of the iconic peak. Hop a morning flight to the world’s largest continuous wetland, the Pantanal. Arrive at your eco lodge in time for an included dinner, followed by an evening stargazing walk. Explore the Pantanal on horseback or in a canoe with a local guide. Back at the eco lodge, enjoy a relaxing dinner. Hop aboard a canoe for a guided tour of the Clarinho River. Catch the sunrise from the top of Heron’s Tower before flying to the city of Salvador, located in the state of Bahia. Later, enjoy a free evening in Salvador or add an excursion. Get to know Salvador on a sightseeing tour of the city. 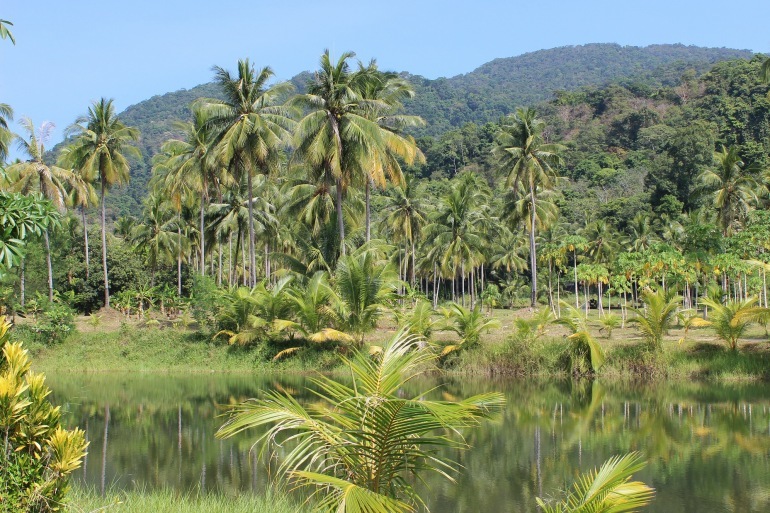 Travel to the Afro-Brazilian communities in the areas of Bahia outside of Salvador. This evening, enjoy dinner with your group in Salvador. Be sure to pack an overnight bag for your adventure in the Amazon. Fly to Manaus and continue by speedboat on a journey into the Amazon. Keep your eye out for pink dolphins and rainforest wildlife as you make your way to the Juma Amazon Lodge. Set out on a jungle walk with a local wildlife guide. Later, your catch is served up as part of an included dinner. After dinner, take part in a discussion about Amazon wildlife with a local guide. Wake before the sun to witness wildlife on an early morning canoe excursion. Return to the lodge for breakfast before setting out on a jungle excursion. Later, head back to the lodge and say goodbye to your group at a farewell dinner. Ride a speedboat back to Manaus. Take the afternoon to relax before continuing on to the airport to board your plane home. The thundering Iguassu Falls is one of South America’s most awe-inspiring natural attractions. Witness the epic splash of 275 cascades surrounded entirely by subtropical paradise. Pestana Rio Atlantica has a privileged location on Atlântica Avenue, with a dazzling view overlooking Copacabana beach, one of the most famous beaches in Brazil. Guests of Pestana Rio Atlantica, one of the most emblematic hotels in Rio de Janeiro, will find a perfect hotel for all kinds of tourists, from those who wish to enjoy the beautiful beaches to those who care about culture and sports. The Pantanal, the largest continuous wetland on the planet, declared a World Heritage Site and Biosphere Reserve by UNESCO, is South America's primary wildlife sanctuary.From this lodge, with its enviably preserved surroundings, it is possible to do first-class bird-watching, trekking in pristine forest, canoeing, horseback riding, truck photo-safaris, night tours, two exciting tree top look outs with 12 and 25 m high and much more, all under the assistance of expert bilingual naturalist guides. The Sheraton da Bahia Hotel, Salvador is a historic building that has been renovated to provide modern amenities for business and leisure travelers alike. Its prime downtown location makes it easy to see nearby theaters and museums, the historic city center of Pelourinho, Porto da Barra Beach, and Arena Fonte Nova football stadium. Located three hours away from Manaus by boat (or 30 minutes by hydroplane), the trip to the lodge is a spectacular tour by itself. Juma´s region is remote and relatively untouched. The Juma Amazon Lodge is a small and comfortable hotel designed to be totally integrated to the Amazon Jungle. The construction and operation of the lodge comply with and respect the limitations of the environment, which is the very reason for the hotel to exist.